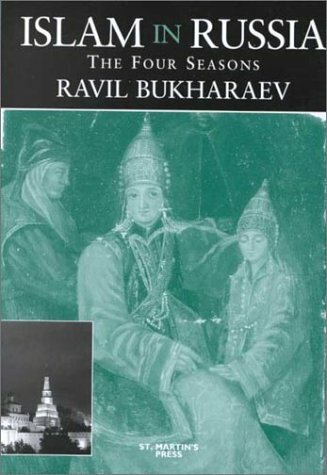 Ravil Bukharaev's history of Islam in Russia is a fascinating story of spiritual survival. The special cultural and national reawakening that has accompanied the resurgence of Islam in Russia has contributed to the firm foundation of revival and renewal of Islamic thought throughout the Muslim world. Drawing on such diverse sources as the author's early experience of Kazan Tatar nationalism, and the writings of H.G. Wells and Edward Saïd, the author presents a sweeping analysis of the history, development and future prospects for Islam in Russia based on exhaustive research of the primary and secondary sources as well as how own personal experience. Islam in Russia is a unique contribution to our knowledge in both Islamic and Russian studies. Ravil Bukharaev's history of Islam in Russia is a fascinating story of spiritual survival. The special cultural and national reawakening that has accompanied the resurgence of Islam in Russia has contributed to the firm foundation of revival and renewal of Islamic thought throughout the Muslim world. The author explores how Islam vis-a-vis Russian Orthodox Christianity shaped national, political and cultural developments in the vast region of European Russia and Siberia. This volume thus presents a sweeping analysis of the history, development and future prospects for Islam in Russia based on exhaustive research of the primary and secondary sources as well as his own personal experience. Strange as it may seem, this historical eminence of Russian Islam is all but forgotten by the Muslim world, the west and Russia alike. Why? Why has the, almost furtive, development of Islam in Russia been arrested? Why is Islam in Russia faced with a crisis of leadership? What is the future of Islam in Russia, and can the lessons of medieval and contemporary history help us predict that future? These are questions which the book seeks to answer, situating the evolution of Islam in Russia in the much wider context of religious history in general. Based on historical documents from the archives of the Russian Federation, foreign archives and the archives of the Russian Muslim world diaspora collected by the author over 20 years, Islam in Russia will be of interest to students of both Islamic and Russian studies and is a unique contribution to our knowledge in both areas.